Modern ideas of freedom and human rights have been repeatedly contested and are hotly debated at the beginning of the third millennium in response to new theories, needs, and challenges in contemporary life. 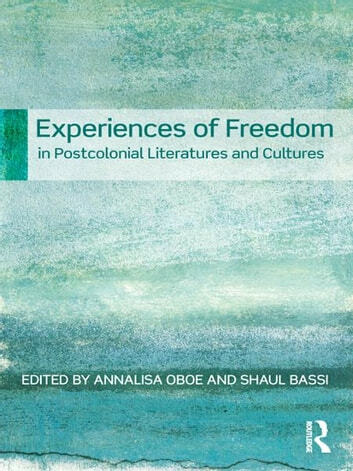 This volume offers culturally diverse contributions to the debate on freedom from the literatures and arts of the postcolonial world, exploring experiences that evoke, desire, imagine, and perform freedom across five continents and two centuries of history. • imaginative freedom and critical engagement. Each section contains a piece of creative writing directly connected to these topics from authors Chris Abani, Anita Desai, Caryl Phillips, and Alexis Wright, followed by a selection of critical essays. 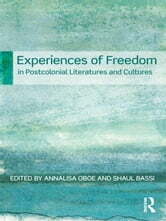 Contributors: Chris Abani, Rochelle Almeida, Gil Anidjar, Jogamaya Bayer, Elena Bernardini, Anne Collett, Carmen Concilio, Paola Della Valle, Roberto Derobertis, Anita Desai, Lorna Down, Francesca Giommi, Gareth Griffiths, Dave Gunning, John C. Hawley, Peter H. Marsden, Russell McDougall, Achille Mbembe, Cinzia Mozzato, Kevin Newmark, Berndt Ostendorf, Mai Palmberg, Owen Percy, Kirsten Holst Petersen, Caryl Phillips, Annel Pieterse, Christiane Schlote, Nermeen Shaikh, Patrick Williams, Alexis Wright, and Robert J. C. Young.